Did I mention that I've always had a soft spot for 3" CDs? Brad Rose with his wife Eden Hemming under their Eagle Altar moniker (not to be mistaken for Altar Eagle which is Eden Hemming with Brad Rose...). 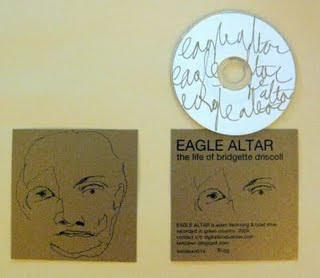 This lovely 3" CDR, with Eagle Altar hand-scrawled all over in golden ink, is unfortunately already out-of-print at the source the small Kimberly Dawn label (even though it was released only 3 weeks ago...). 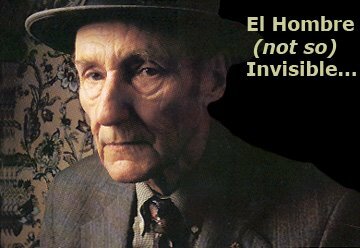 Great 18-minute track, as is to be expected from a Brad Rose project! Eden is not singing on this one (it is one of the differences with Altar Eagle, or Corsican Paintbrush, or other collaborations between husband and wife), but it has a nice drum-machine loop in the background. thanks much!...any more kimberly dawn releases?